If you like online streaming and have a fast Internet connection, look no further: Stremio is the best option when it comes to media players, bringing you all the latest and best multimedia content in the form of movies, TV series, documentaries, short, and animated features. To enjoy free content around the web, you would need to install Stremio add-ons. Some of them, however, are geo-restricted, which means they can’t be accessed in your location because they are intended to be shown only in their respective countries. However, if you use one of the best free or paid VPNs for Stremio, you will earn the ability to watch international content from the comfort of your home. Stremio offers a remote streaming service on your gadget or device, putting all together for you enjoy entertainment files on the Internet. It has similarities with Popcorn Time, Plex, or even Kodi, in the sense that it connects you to several sources of content and lets you reproduce them in the Stremio’s media player. Stremio has a brand-new version, the Stremio 4 Beta. It comes with innovative features and a fresh user interface: watching movies or TV series was never more straightforward than this. Stremio lets you organize and sort all your content by type, taste, genre, or alphabetical order. Stremio add-ons are excellent ways to enjoy content online. However, there are two caveats: one, much of the material is blocked because it belongs to another geographical region. And two, some movies or series have copyright laws that should be respected, and if they aren’t, the person accessing that particular add-on may get in legal trouble. That is why numerous people have opted to hide their traffic and online identity and location (recognizable by the IP address) with a Virtual Private Network, or VPN. These apps can create a virtual tunnel between you and the company (excluding the traffic-logging Internet Service Provider from the equation) for your shared online content and IP number to go through, away from hackers, cybercriminals, malware developers, crypto miners, copyright trolls, surveillance, censorship, and more. Virtual Private Networks offer privacy and security, two essential elements for Stremio because the service provides unofficial or third-party add-ons, and those may be insecure or unreliable. To protect yourself at all times, hiring one of the best free or premium VPN services for Stremio is a must. VPN apps can come for free or paying a subscription. In life, free things are often unreliable, and the same happens with VPNs. Paid options, often called “premium,” are far safer, have more protocols, features, and servers, and don’t usually keep logs of users’ activity. Free VPNs may not charge you a dime, but they often show annoying ads or, worse yet, they can sell your data logs to the highest bidder. They are slow and come with bandwidth limits that affect your Stremio performance. Check here our recommended Premium VPN for Stremio. This free VPN provider is approaching 40 million users around the world, and the primary reason is that it offers a free service with good enough features and capabilities to make it a worthwhile addition to your Stremio experience. It provides robust encryption and a zero-logging policy, and there are no data and bandwidth caps to speak of. Be alert at rumours about Betternet selling adware, though. We highly recommend a Paid VPN for Stremio. Click here for the paid options for Stremio. One of the most widely known free VPNs in the industry, TunnelBear is a good option for beginners in the VPN world. Its user interface is extremely straightforward and fresh, and users won’t complain about the no-ad rule. 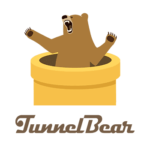 The free version of TunnelBear is limited to 500 MB of bandwidth per month, but it has OpenVPN availability and uses the AES 256-bit encryption method. It’s not particularly fast, but it won’t keep logs of your activity. 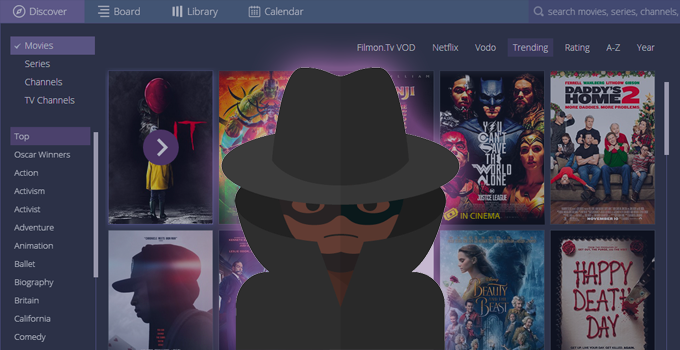 Since Stremio is mostly torrent-based, you need a speedy VPN with robust encryption, a no-logging policy, and P2P allowance. Fortunately, we can find all of those requirements in CyberGhost. 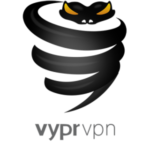 VyprVPN is another solid option to enjoy Stremio’s features. It is based in Switzerland, so you know it offers excellent privacy measures. The presence of the Chameleon protocol is very enticing for those who want to bypass censorship or geo-blocking restrictions. On top of having more than 700 servers, users can enjoy features such as DPI Protection, NAT Firewall, and more. It has a three-day free trial and works with streaming platforms such as Netflix. In conclusion, Stremio is a media player that takes content off the Internet and feeds it to you, the user, for free. What else could you ask for? However, there is a catch: most of the series, documentaries, or movies that you can enjoy in Stremio are geo-blocked. Geo-blocking restrictions are common around the Internet because most platforms and content producers want their material to be enjoyed only by local audiences. To earn the ability to manipulate your IP address and “change” your virtual location to unblock international material, hire one of the best free VPNs for Stremio.